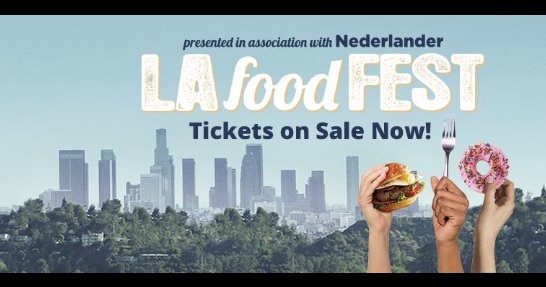 The L.A. Food Fest is back for it’s seventh year, promising three days of tasty bites and refreshing sips from 100+ food, beverage, beer, wine and craft cocktail vendors as well as exclusive hosted ticketed events. The Rose Garden Kick Off Party ($150) on July 8 will get the party started in style with a multi course family style dinner which includes bubbly, beer and wine pairings, and a souvenir glass. Chefs are TBD and your ticket also gives you entry to the LA Food Fest on a MRKT basis on Saturday or Sunday and daylong access to the rose gardens. Rose Garden Dinner series ($95-125) is another ticketed event hosting a brunch, lunch and or dinner party for guests through out the weekend. This ticket also gives you entry to the LA Food Fest on a MRKT basis on Saturday or Sunday and daylong access to the rose gardens. General admission ticket “MRKT” ($15) grants you access to the event with an option to purchase signature items and event-only specials while enjoying live entertainment. Golden Hour ($69) ticket allows you unlimited tastings of food and beverages from 100+ vendors, along with two tickets good for wine, beer or cocktails. Dinner begins at 7 p.m. on Friday, with the festival running 10:30 a.m. to 7 p.m. on Saturday, and 10:30 a.m. to 6:30 p.m. on Sunday.